Are you too busy to eat healthy balanced meals? Are you eating expensive, greasy restaurant food? Do you have special dietary needs? Examine it, try it, use it for a full 1 year without risk. If at the end of 1 year you are not completely satisfied with it, we will refund you your money, no questions asked. You can have filling, refreshing, tasteful and healthy meals in a matter of minutes. 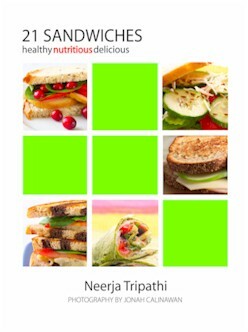 This inexpensive e-book contains 21 original and well tested recipes that you can easily prepare on your countertop. I created them all in my kitchen, sometimes from scratch and sometimes by adapting a known recipe. Kids will eat vegetables in a sandwich or a sub when they would not do so otherwise. Prepare quick meals fo your family using these recipes. These are the sandwiches that I have made again and again. For this book I chose only those recipes that consistently generated a Wow! You will not find these recipes anywhere else. Even if you make one sandwich only once using a recipe from this book instead of going out, you will recover the cost of this book. Helpful information and tips for making great sandwiches are included in the book.